I’ve been using contacts for the last three years and so I thought about reviewing a very cost effective contact lens solution. Read on to know more about this product. 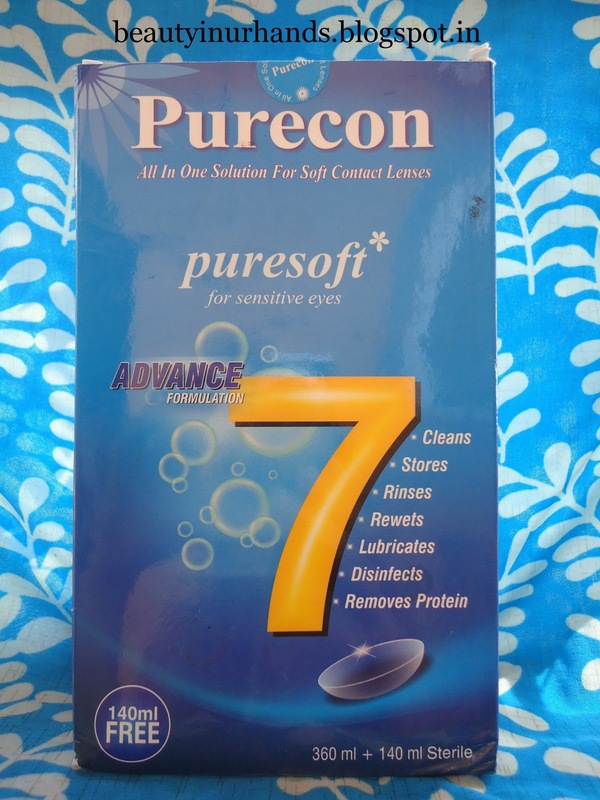 CONTENTS: Purecon-puresoft Multi Purpose Solution is a sterile buffered isotonic solution which contains purified water, HPMC, CMC, EDTA, Borax in Sodium Chloride Base. I have absolutely no complaints about this product. I like how comfortable my eyes feel after using this solution to clean the contacts. It is very important to fill your contact lens case with fresh solution after every use and allow it to soak for a minimum of 6 hours. In doing so, contact lenses can be retained in optimal moisture and will become more comfortable to wear. The pack contains two bottles in different sizes i.e. 360 ml and 140 ml. The smaller bottle comes in handy for travelling purpose. The lens bottle is opaque and white in colour. It has a screw cap and the nozzle has a tiny hole to dispense the solution. The solution effectively cleans the contacts. It also removes proteins. 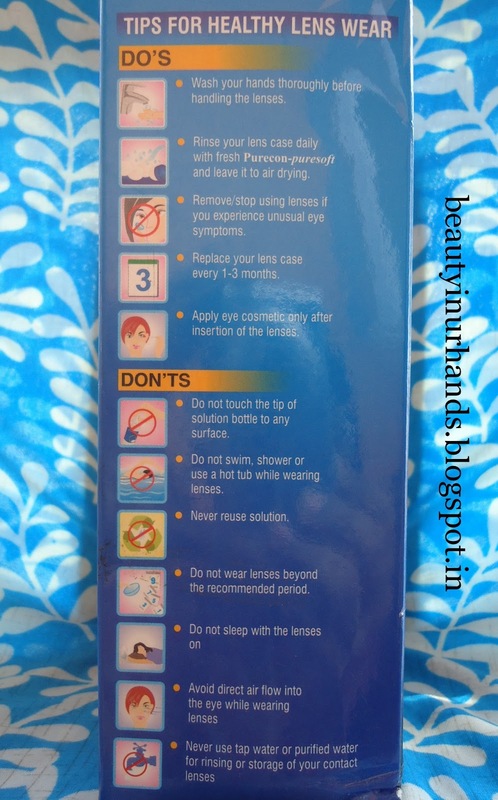 The solution lubricates the lens so that it remains smoothly in your eyes during the whole day. This product is absolutely safe to use. It does not sting the eyes and is easily available online. Very nice blog. Few details should be more specified like the solution is for soft or semi-soft or all purposes.